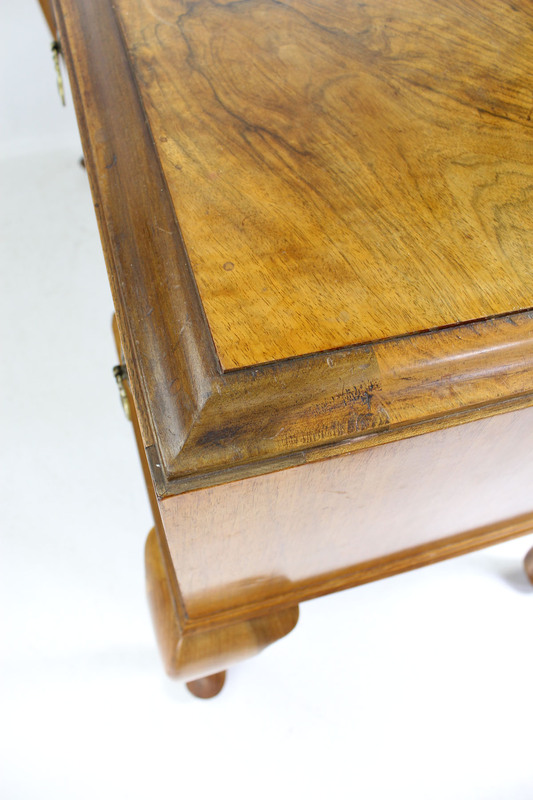 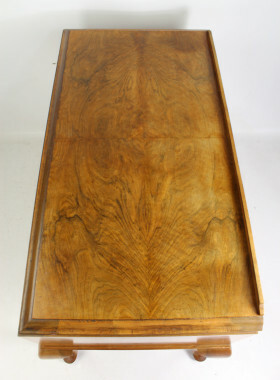 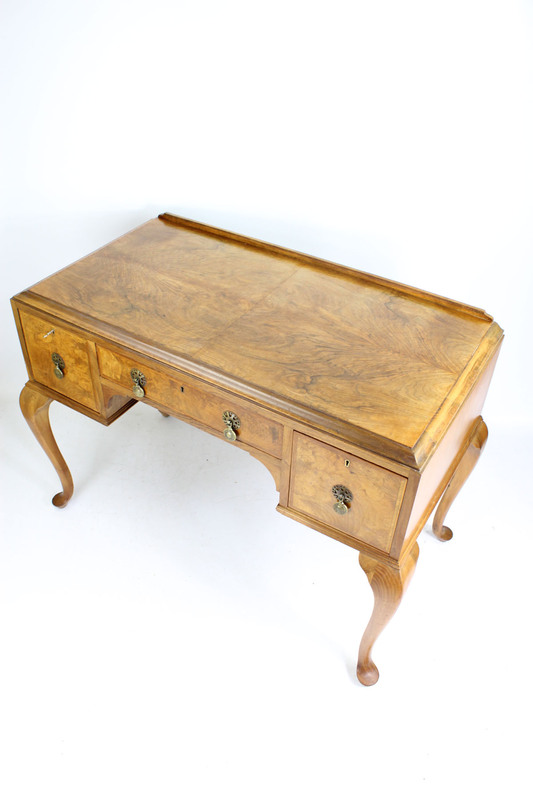 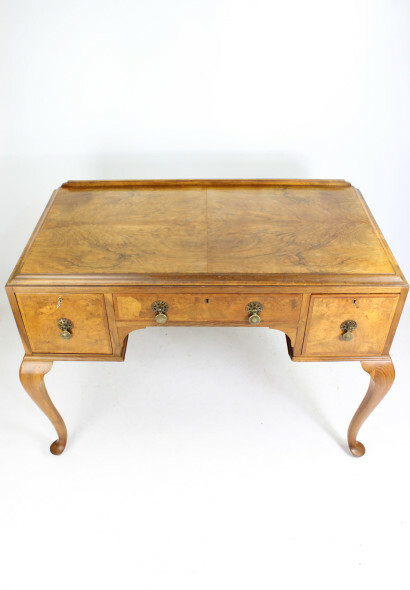 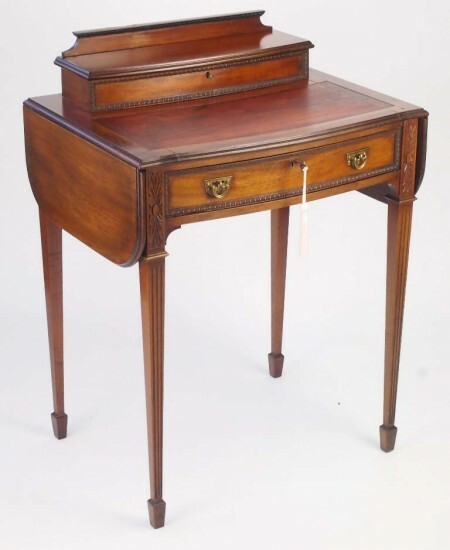 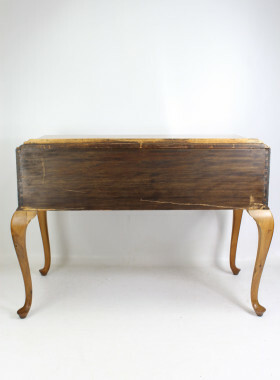 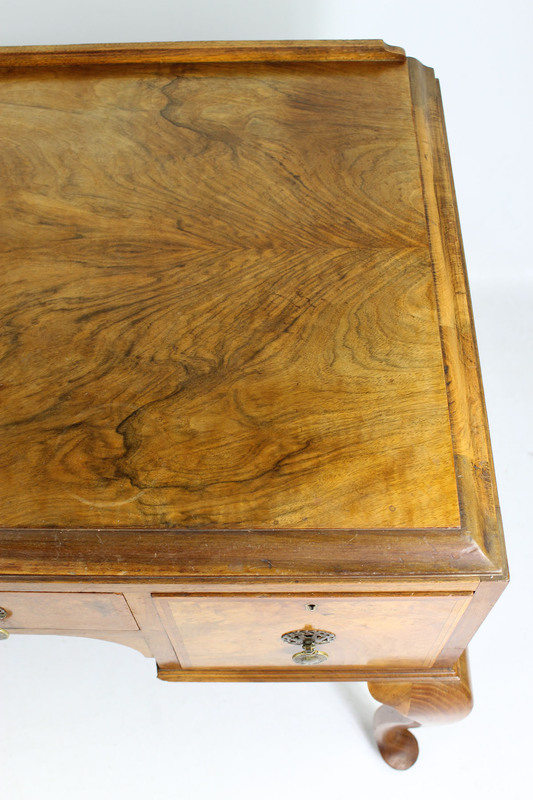 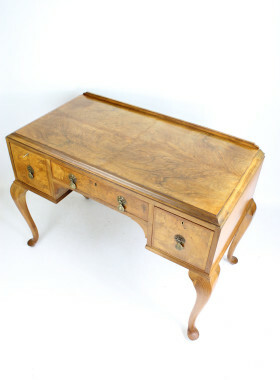 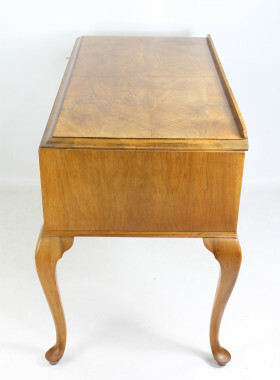 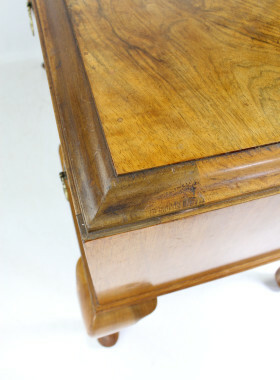 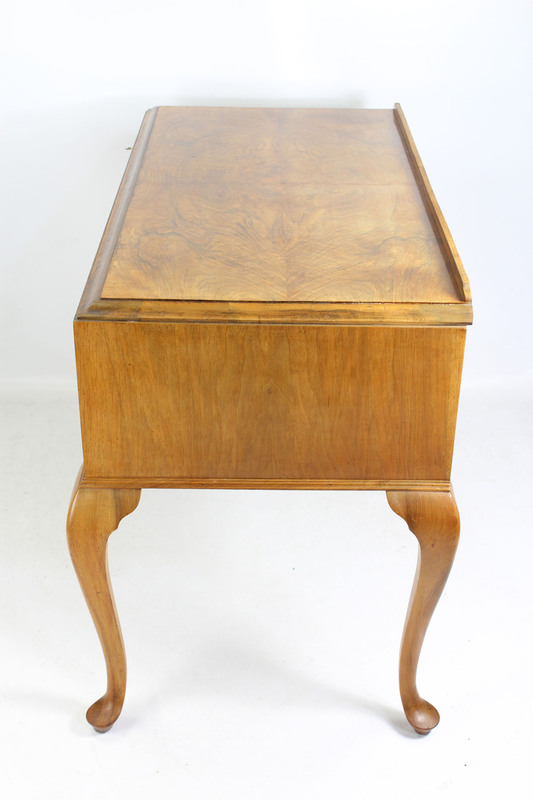 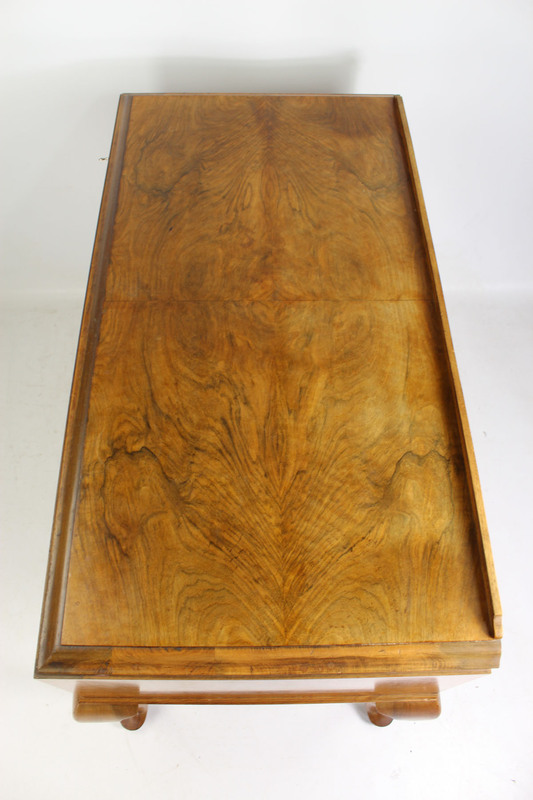 A good quality desk in walnut from circa 1920s-1930s with Liberty label to inside drawer. A good quality desk in walnut from circa 1920s-1930s with Liberty label to inside drawer. 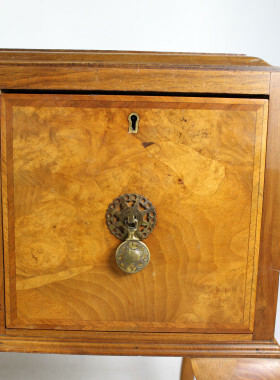 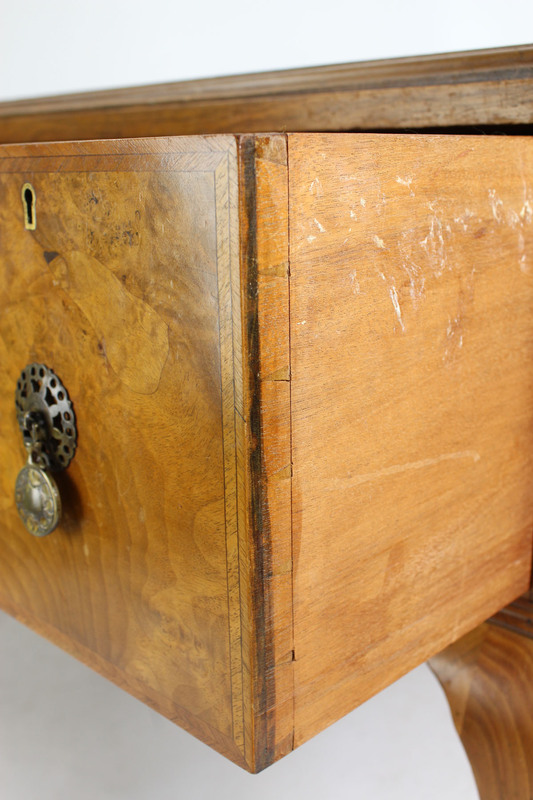 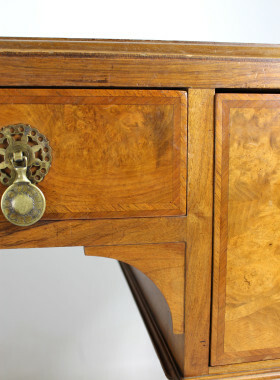 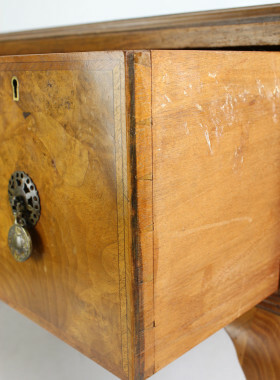 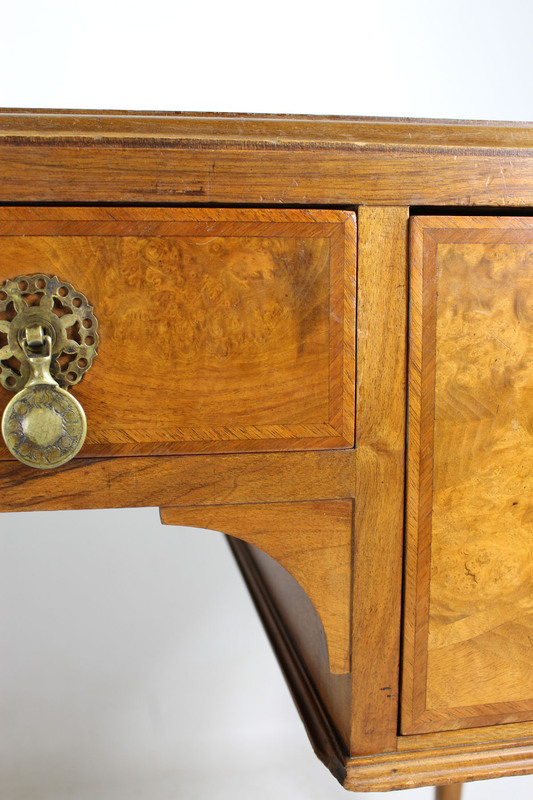 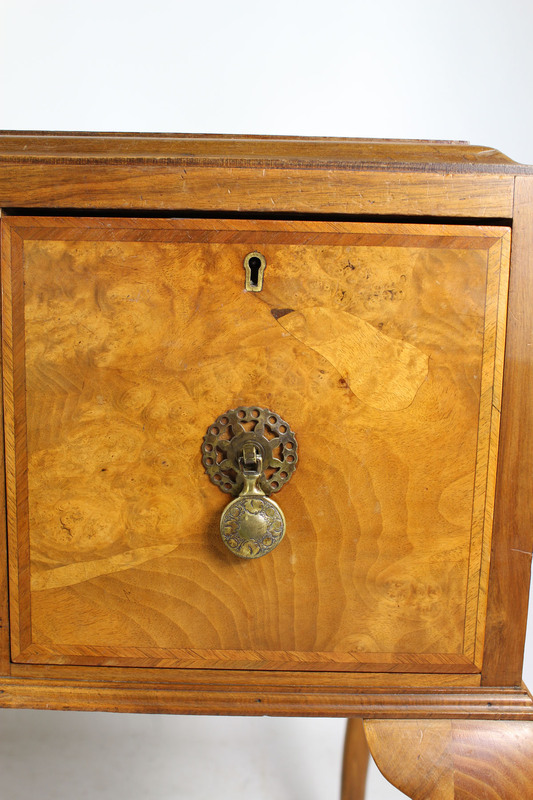 With burr walnut top it has a long central drawer flanked by 2 smaller drawers, all with brass drop handles and brass locks (comes with working key). 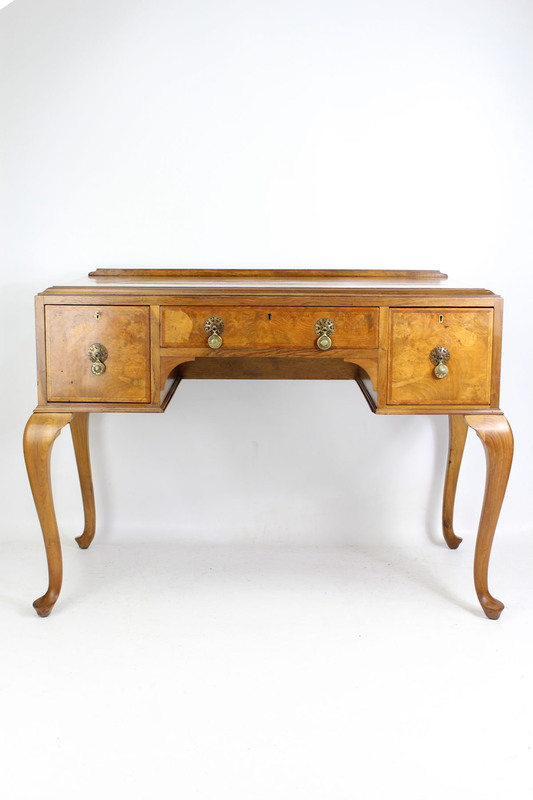 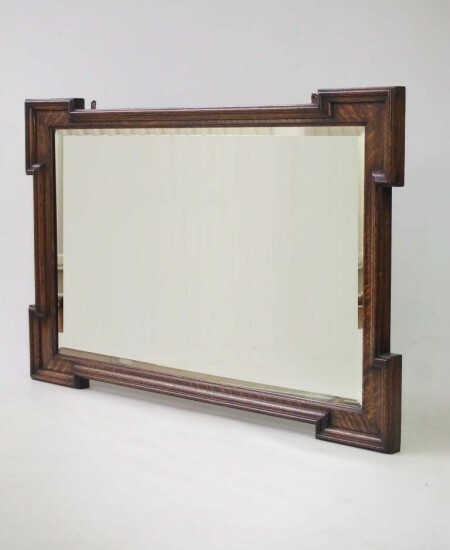 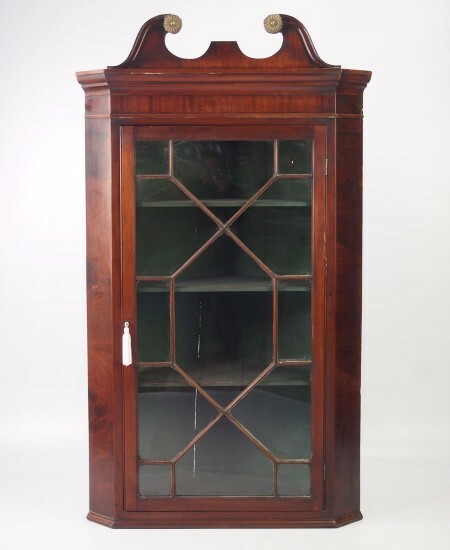 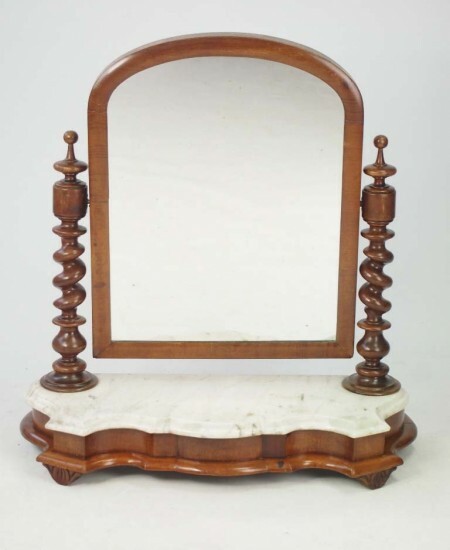 A very stylish piece, it stands on cabriole legs and it has beautifully figured walnut veneers to the front of the drawers with banding. 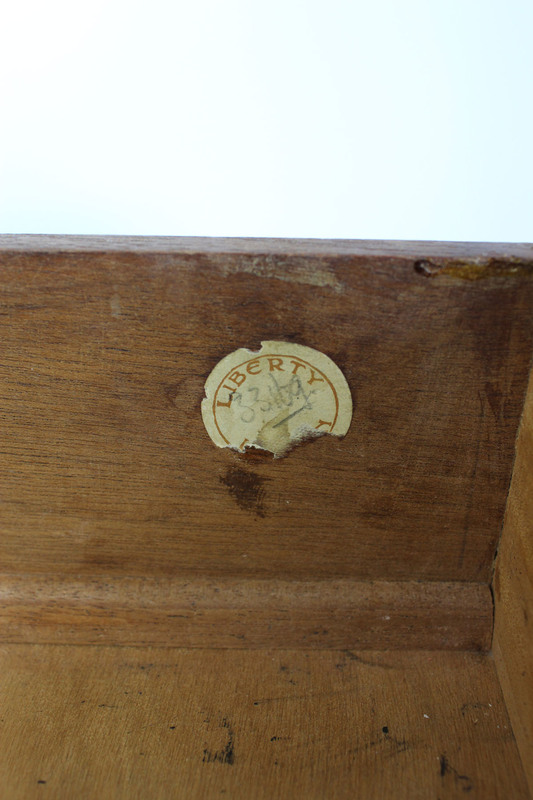 To the inside of the drawer is a paper label of Liberty with stock number in pencil. 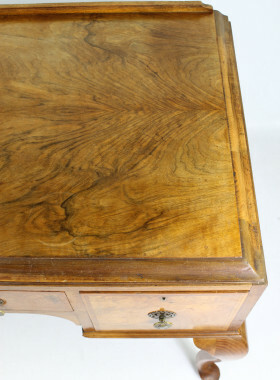 Very Solid. 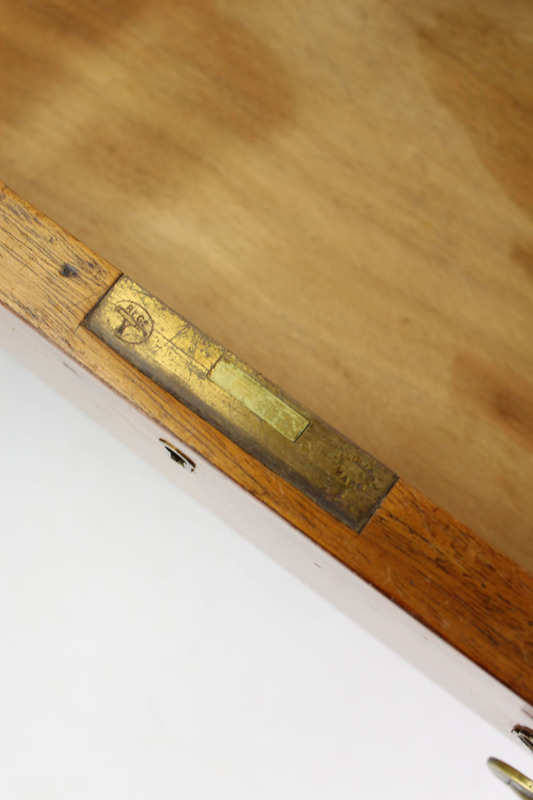 Some marks and wear to the top. 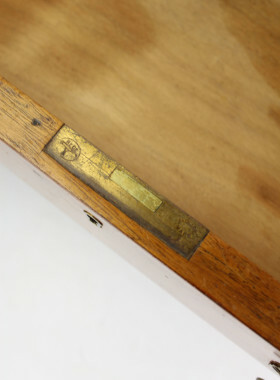 Other wear and marks commensurate with age.